Mizanur Rahman Chowdhury giving a presentation on his work during a Delfina Foundation dinner. Image courtesy of Chowdhury. 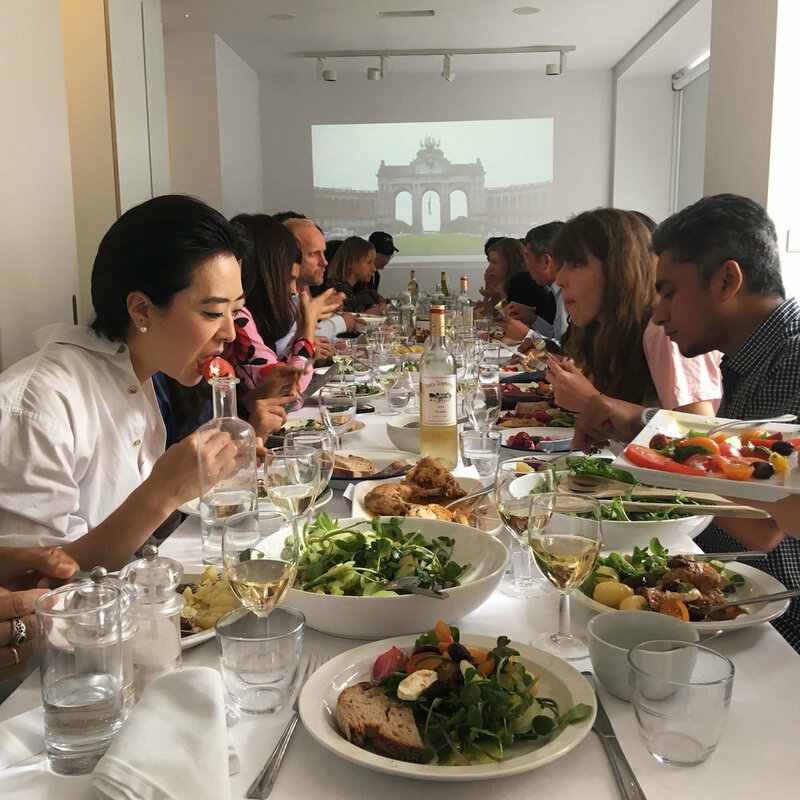 Mizanur Rahman Chowdhury at a Delfina Foundation dinner with other artist residents. Image courtesy of the Chowdhury. During the Dhaka Art Summit 2018, an international jury, comprised of Sheela Gowda, Runa Islam, Subodh Gupta, and Mona Hatoum, selected Mizanur Rahman Chowdhury as the recipient of the 2018 Samdani Art Award. Announced during the DAS 2018 Opening Celebratory Dinner on the 2 February by Tate Director, Dr. Maria Balshaw, Rahman Chowdhury received a six-week residency with the Delfina Foundation in London. Mizanur Rahman Chowdhury’s (b. 1981, Noakhali) interdisciplinary practice plays with everyday objects to create interactions, which sit between installation and assemblage. By creating unfamiliar situations for everyday objects, Chowdhury creates new interpretations of familiar objects while opening new experimental territories with open-ended possibilities. He received a Master of Fine Arts in Printmaking at the University of Dhaka (2011). His work has been shown in group exhibitions throughout Bangladesh.